Dr. William (Russell) Pridgeon and Patrick O’Dea are selfless men, who have spent years of their life trying to help victims of child sexual abuse. 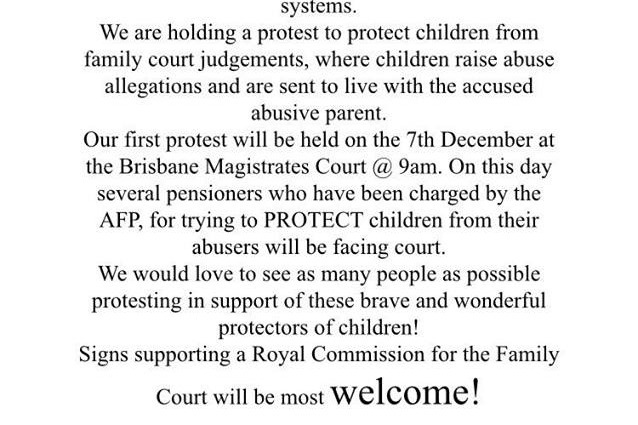 As part of this, they worked towards the much needed Royal Commission into the Family Court. Dr Pridgeon also funded and founded the Australian Antipaedophile Party. These courageous men now need our support. Mr O’Dea and Dr Pridgeon were charged and are being prosecuted by the Commonwealth and State Office of the Director of Public Prosecutions for allegedly helping children for whom there were genuine fears of immediate danger of child sexual abuse. Due to the perceived situation the men found themselves in, they honestly and reasonably believed they had a duty of care to assist. This assistance came to light after they overtly lobbied authorities to help. In doing so, these men have put their livelihood and liberty at risk. While this is being characterised as criminal (versus a breach of a private family law agreement), they risk substantial prison time should they be convicted. The situation is that they also face tens, or likely hundreds of thousands of dollars in legal bills to contest the untested allegations and to try to restore Dr. Pridgeon’s medical licence and livelihood. These good Samaritans need our practical help. If ever Russell or Patrick have helped you, or you can appreciate their situation and would like to help them, please donate any amount. If financially supporting is not an option now, we understand. Will you please share some kind words, perhaps of your own experience with these men, and/or Sign the Petition. Then please continue sharing this petition with your friends on social media and email lists. As you'd likely know, Russell is my father and Patrick is my good friend. They are the beneficiaries of this page. I went and visited both of them last weekend and they are in good spirits. To explain where the money is going, I'll be withdrawing the funds and transferring it to their lawyers account directly as payment for some of the upcoming expenses in the trial. 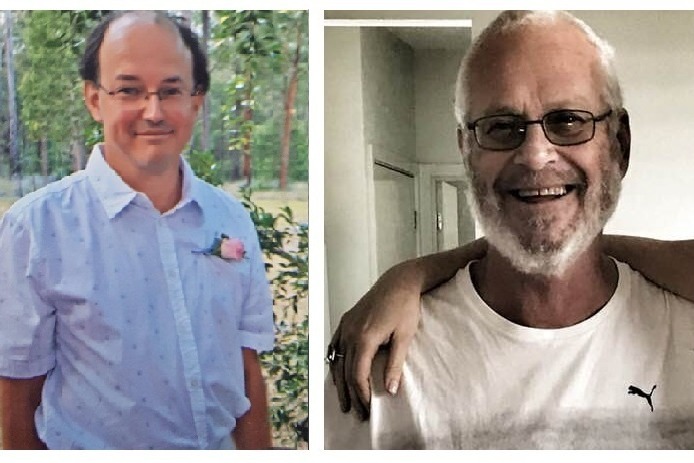 There is a protest organised to be held in front of Patrick and Russell's hearing at 9am on 7 December at the Brisbane Magistrates Court. 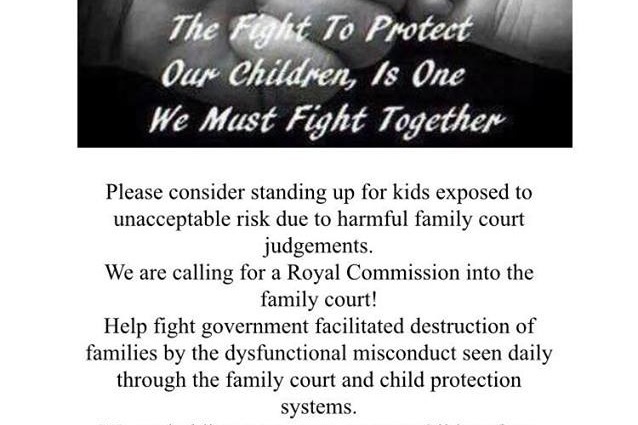 This will be to fight for a Royal Commission into the family court. If you or anyone you know could make it to show your support that would be a powerful statement. Thank you all for your ongoing support. On the 16th November, $8000 was transferred to Russell and Patrick's lawyer. Funds will continue to be transferred as the demand requires. Thank you all so much for your kind support.